Ash trees in the UK are in big troubles. They estimated 80 million ash trees are under threat. The ash die back disease (i.e. the Chalara fungus) could kill millions of trees as scientists think trees are genetically susceptible to this type of disease. However, some trees end up being immune, and the why and how of this happening is what the scientists want to discover. Hope comes from an unexpected form: a Facebook game. Scientists need to analyse the genetic code of both the trees and the fungus. This is a huge task, as it ivolves 60 million nucleotides for the fungus and around 1 billion for the trees. Researches sequenced the DNA from infected trees and, via the Facebook Game, called Fraxinus, they let the human brain recognize patterns. The hope is that by sorting this information into genetic sequences through gameplay, players will help scientists find genetic variations to better understand how the disease works on a genetic level. Competition is also part of the game. It is actually what keeps players engaged, together with the addictiveness of the game. 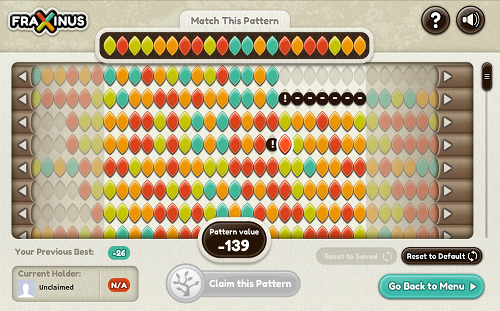 The player who has the hishest score on any given pattern can claim that pattern and hold it until his score is still the highest. The advantage is that each pattern theft also serves to make the data more accurate. Top players will actually see their names in public databases and publications in recognition for their help. Social media is changing the landscape of communication. Sites such as TripAdvisor, Yelp and YouTube influence consumers’ buying decisions on a wide range of goods and services. Such digital raitings platoforms have become very influential in shaping customers’ decisions, in fact, when making an online purchase, consumers tend to rely on online reviews generated by other consumers. Online consumers reviews are trusted 12 times more, in comparison with descriptions of the product stated by the manufacturers themselves (eMarketer, February 2010). The video below describes how consumers can evaluate online reviews and recommendations when shopping. So we do know that customers base their buying decision on online reviews. But, as a customer, have you ever asked yourself how objective these reviews are? I usually have faith in these raitings and view them as trustworthy. Before booking a hotel room, buying a book or any other product, 90% of the times I’ll study reviews before actually purchasing the product. Indeed many studies confirmed that my behaviour is not unique, at all. For example, a 2012 Nielsen report surveying more than 28,000 Internet users in 56 countries found that online consumer reviews are the second most-trusted source of brand information (after recommendations from friends and family). Another interesting point arising from the survey, is that more than two-thirds of global customers say they trust messages on digital rating platforms (1). Here is where we can talk about herd instincts: a mentality characterized by a lack of individual decision-making or thoughtfulness, causing people to think and act in the same way as the majority of those around them (Investopedia). That’s the heart of the problem with online ratings. When we see that other people liked a restaurant , enjoyed a confortable sofa or just loved a hotel room, we are inclined to feel the same way after reading their high online rating. These herding effects have been analyzed by Lev Muchnik et al (2013) in a randomized experiment on a social news aggregation website. Using regression models, the authors did find evidence for such effects when positive social influence is concerned. Whereas negative social influence inspired users to correct manipulated ratings, positive social influence increased the likelihood of giving a positive rating by 32% and created accumulating positive herding that increased final ratings by 25% on average (2). Do you also always check and ,especially, trust previous customers reviews? With the findings of this post in mind, would you be more critical about online reviews? Or are they too important for your decision making process? (1) “Nielsen: Global Consumers’ Trust in ‘Earned’ Advertising Grows in Importance,” April 10, 2012, http://www.nielsen.com. Week 5 topic was online social networks. The articles given for the homework assignment were three in total but did not all focus on the same subject. The first one gives a definition of Social Network Sites (SNSs), while trying to recompose the historical development of such sites, and mentions previous scholarships concerning the topic. After reading this article, I found very clear and interesting the history of SNSs, which started in 1997, hit the mainstream from 2003 and rapidly became a global phenomenon. However, I found a weak point of the article being that it is not explained why social network sites proliferated at such a high rate and what reason is behind this existential need of people to join such sites. The second article examines the vast topic of network analysis (SNA), with a special focus on social sciences, elaborating on the history and development of social networks. Though, the authors gave a great overview on the antecedents on network phenomena, they didn’t elaborate more on the consequences of such phenomena nor they gave detailed examples on applications of network analysis. The third article approaches the topic business network-based value creation in E-commerce. The authors focus on the reasons why business networks exist and whether they create value to the companies as well as to the consumers over time. Actually the authors have a deterministic view in that business networks are inevitable once IT becomes more and more advanced, because companies are in a stronger position entering strategic alliances with other companies and the networks across firms to create a one-stop shop for consumers. The main reason is that business networks lead essentially to less vertical integration, due to diversification effects, thus lowering the systematic risks of businesses. I searched for another extra article on the major concepts and measures in SNA. After reading the article the key difference between SNA and the traditional approach became clear. While conventional research approaches assume people behave independently of their networking, SNA assumes that people are all interdependent and that connections have real consequences for performance. One example I found is about Masterfoods, a division of Mars, Inc. the well-known company that makes such worldwide favorites as M&M’s, Snickers, and the Mars bar. Their challenge was to find new ways to grow, such as through new products and businesses, and thus they performed network analysis to create a new R&D network to allow the cooperation of people inside and outside the R&D division. The management’s idea behind this was that a diverse R&D network, would be more likely to yield greater business ideas for the long-run success of the company. Another example I found on business networks lies on media communications. Arsenault and Castells (2008) argue that only global networks have a competitive advantage on mastering the resources of global media production effectively. These networks capitalize upon richer and interactive media communication offered by the emergence of the digital culture. The most interesting part was that these companies can directly compete and have partnerships at the same time. For instance News Corp and NBC Universal, direct competitors, have a joint business Hulu.com, that competes Youtube, a subsidiary of Google. Also the authors show that these media communication networks interfere with other businesses from different sectors that again create networks. Boyd, D.M., and Ellison, N.B. 2007.Social network sites: Definition, history, and scholarship. Journal of Computer-Mediated Communication 13(1) 210–230. Borgatti, S.P., Mehra, A., Brass, D.J., and Labianca, G. 2009.Network analysis in the social sciences. Science 323(5916) 892-895. Arsenault, A, and Castells, M. 2008. The structure and dynamics of global multimedia business networks. International Journal of Communication 2707-48. Karen is a life coach, a digital friend that lives in a smartphone. You can interact with her via an app which is free and can be easily downloaded from your App store. 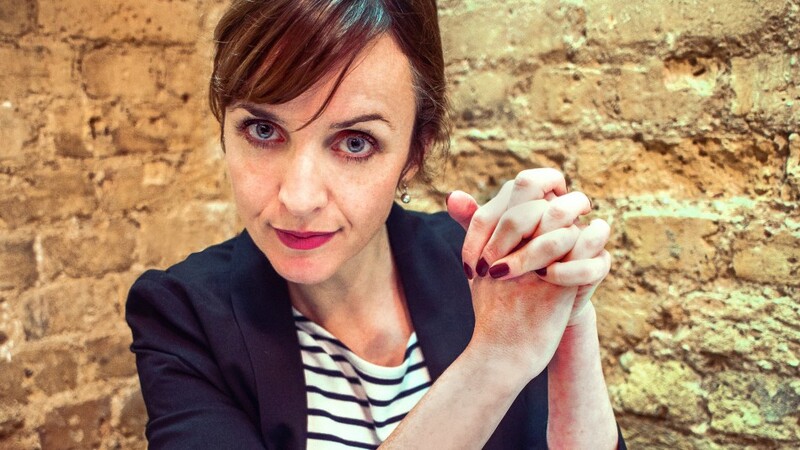 She – and the software – was designed by Blast Theory, a group of British artists who has made major innovations in the use of technology creating interactive art that mixes audiences across the internet. From the first ‘appointment’ with Karen, you immediately understand how friendly she is with you (maybe too friendly) and how willing she is to help you work though a few things in your life. As you begin, she – the lead character, the app, the algorithm, not sure how to define her- asks you some personal questions like: “What do you value most in this moment of your life?”, “Do you think positive even if you are feeling down?”. When you answer, it soon becomes clear that she is profiling you and trying to advise you based on what you just told her. Of course, it’s up to you how open and honest to be with her. She will clearly state that she won’t lie to you and she hopes you’ll do the same. She is in a transition moment in her life as she’s recently ended a long term relationship and sooner or later it will be your time to act as her life coach. As time passes by, she starts to know things about you that she didn’t hear from you. How is that possible? All her questions come from psychological profiling questionnaires on which the Blast theory team has worked extensively with researchers including Geraldine Nichols, Professor Nina Reynolds and Dr Kelly Page. 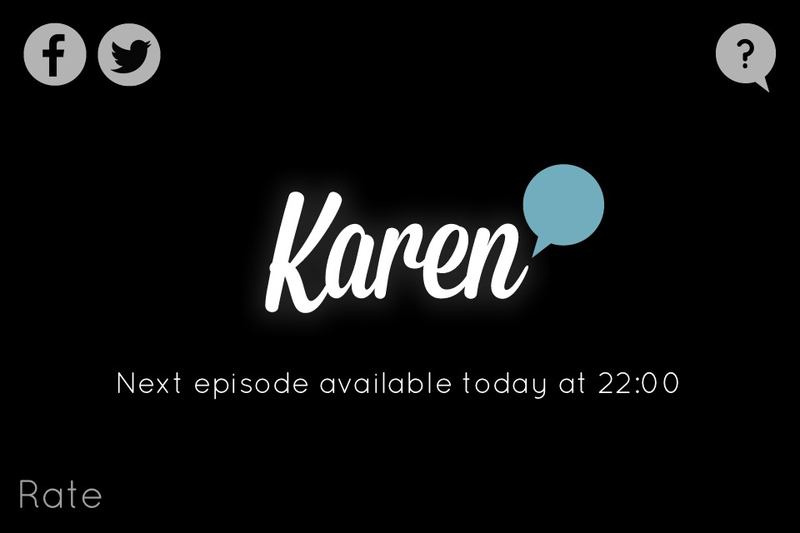 Users trust the app and tell Karen what she wants to know. This is what we do every day when we use social network or we agree on some terms and conditions imposed by online services, often without reading them down the line. “Data belongs to the users” explains Matt, from Blast Theory group, and ,at the end of the story, you can purchase your data (WHAT?!) for 2,99 pounds and choose to leave them anonymously to the research team or to delete them. Part of the financial support for this project came from a crowdfunding campaign on Kickstarter, which collected almost 18thousand pounds. In this new world where technology is ever more personalized and intrusive, we give away so much information about ourselves through our mobile phones and apps without even knowing it. This project should make us think about the privacy that we are willing to lose when we use social network. After reading my post, will you download Karen app to discover how much personal information you are willing to share on the web? How do you see the fact that you have to buy your own data? Where social media meets philosophy: does the enormous power of social media and its impact on users come from the inherent curiosity of people to meet with other people and form artificial communities? Or does this impact stem from a certain degree of loneliness and isolation that the modern human has imposed himself, while creating the industrial environment that will serve from now on as his home? Social media between teacher and students: Yes or no? Minecraft, a blockbuster thanks to Word-of-Mouth?